Sharif Mohammad Shahnewaz Ferdous (Assistant Professor of Computer Science) is a computer scientist specializing in virtual reality, augmented reality, and game development. 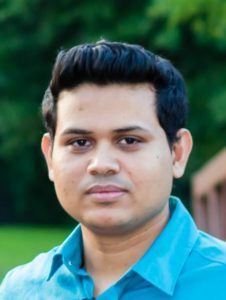 He received his bachelor’s degree from Bangladesh University of Engineering and Technology in Computer Science and Engineering and his Ph.D. in Computer Science from the University of Texas at San Antonio. His research interests focus on using virtual reality and gaming to help improve quality of life for people with special needs. In particular, his dissertation focused on improving postural stability in virtual and augmented reality for people with balance impairments. He is experienced in interdisciplinary research activities and collaborates with kinesiologists, health care professionals, and first responders. He has published in peer-reviewed conferences, served as a program committee member in international workshops, and applied for a U.S. patent based on his work. Personal interest: Dr. Shahnewaz Ferdous likes to play soccer. His favorite team is Barcelona and he follows most of their matches. John DeGood (Visiting Assistant Professor of Computer Science) is a computer scientist specializing in real-time embedded systems and computer security. He received his Bachelor of Science in Chemistry followed by graduate study in Electrical Engineering at the Missouri University of Science of Technology. He spent the next 19 years in R&D (research and development) at Hewlett-Packard (now Agilent) helping develop three generations of gas chromatography products. He proposed and led the development of Agilent’s first PC-based chromatography data acquisition and analysis product line. While at Agilent, John earned a Master of Science in Computer and Information Sciences at the University of Delaware. He then spent eight years at Sarnoff Corporation (now SRI International) in a broad range of research including software defined radio, ad hoc networking, and high-performance computing. He then joined the Lockheed Martin Advanced Technology Laboratories where he performed government-funded computer security research for 15 years. 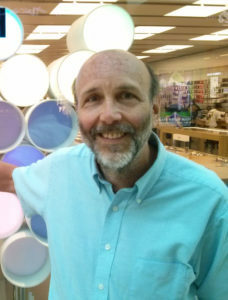 John was an adjunct professor of Computer Science at TCNJ in the 2017-2018 academic year. Cooking: like most chemists, John loves to cook. He bakes homemade yeast and sourdough breads and homemade pie crusts. He also craft brews a variety of ale styles and home roasts green coffee beans.